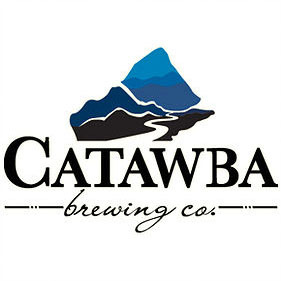 Catawba Brewing’s beautiful 5400 square foot boutique brewery in downtown Asheville is perfect for your special event! Their private bar inside The Rickhouse is available for private events, with various combinations to suit your guest count and budget. Haley Brooks, special event manager, will be happy to help you start the process of helping to plan the most perfect party! Their Rickhouse plus Concourse Package seats 76 people, standing cocktail party style accommodates 120. This beautiful PRIVATE event space has a 20′ high barrel vault ceiling, skylights, barrel potted ficus trees, and a Living Wall between Vintage Industrial Factory Windows. Your rental includes a dedicated exclusive bartender with your choice of 6 beers on tap, wine and cider. An event manager is always on duty to make sure everything goes smoothly.